Mobile banking which allows you to check your savings and checking accounts, view cleared checks, transfer money, pay your bills, check your messages, view your personal information, change your username and check your rates. 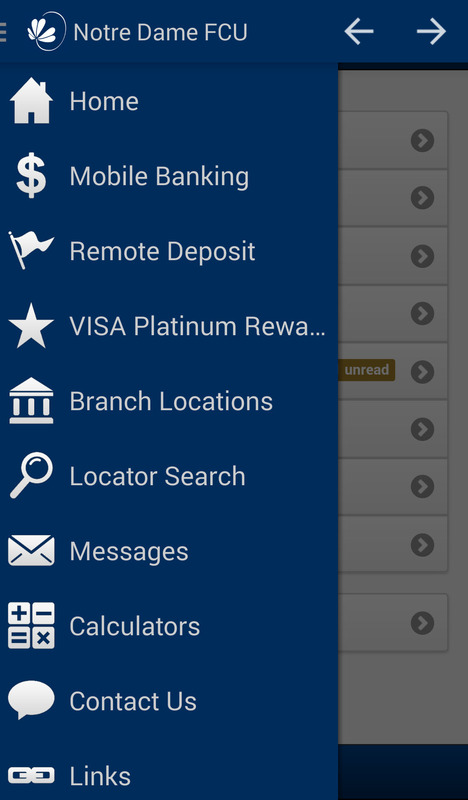 Remote Deposit which allows you to deposit checks into your account using the camera on your smartphone. Check on your Visa Platinum Rewards. Find useful links such as Kelley Blue Book, and My CU Discounts. The mobile app is available in iTunes and Google Play stores.